This Newport Brass 2-574/50 Astaire White Lever Tank/Faucet Handle Only is a genuine Newport Brass manufactured lever, perfect for both residential and commercial applications. This accessory has been constructed out of a solid brass metal, to ensure that its durable and long lasting. This product is part of Newport Brass famous Astaire series. The Astaire series is a group of coordinating kitchen accessories that add style and class for a reasonable price. This Newport Brass 2-574/50 Astaire White Lever Tank/Faucet Handle Only is coated with an illustrious white finish. This fixture has a beautiful lasting hue that helps to coordinate with nearly any bathroom decor; this stunning finish not only looks fantastic, but also protects this fixture's exposed metal parts from corrosion and any other water damage that may occur during use. This lever handle is designed to be compatible to be used as a toilet tank lever or as a replacement handle for faucets. This lever features a bell shaped base that flows into an L shaped handle. This Newport Brass 2-574/50 Astaire White Lever Tank/Faucet Handle Only comes with a Limited ten year Newport Brass Warranty against tarnish and manufacturer defects. This product has been tested by the ASME, IAPMO, IPC, ICC and the NSF and is found to be compliant with their standards and regulations.  Shipping Dimensions 0.1" x 3.0" x 3.0"
Must order handles (2-116 Lever or 2-222 Cross) separately.